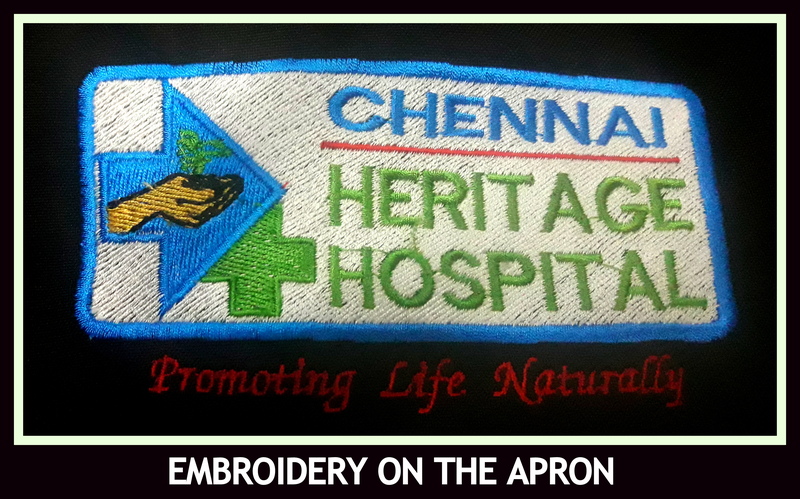 Full aprons can be made in different colors as per your requirement in terry cotton cloth. This apron is customized and made a little longer based on the customers requirement. For your requirement of terry cotton cloth apron mail us now at rsmuniforms@gmail.com. We are here to help you with your uniform requirements. Zubi, The fun candy store approached us for making their aprons. We suggested maroon color as it was the color of their brand and we inserted a front pocket with the branding above it in white color for better visibility. 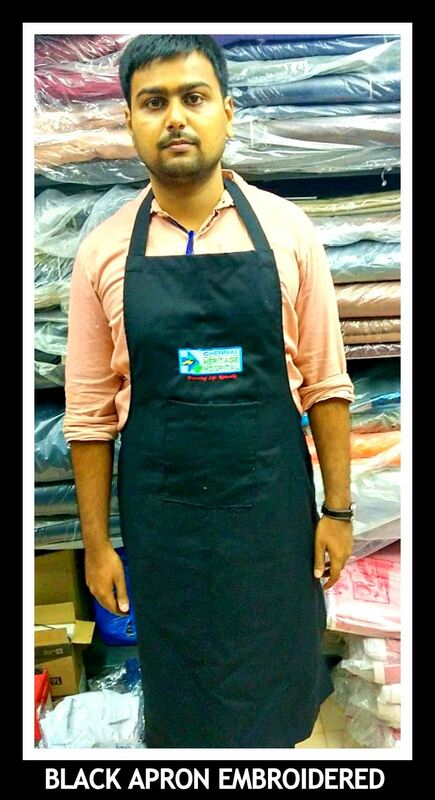 For your requirement of Aprons with the color of your choice please get in touch with us now at 9176634635. We would be happy to help you.